Multipurpose WordPress themes comes with vast features and so that you can create a feature rich websites on your own. Choosing the best multipurpose WordPress themes can be a little confusing, Isn’t it? We will help you choose better. 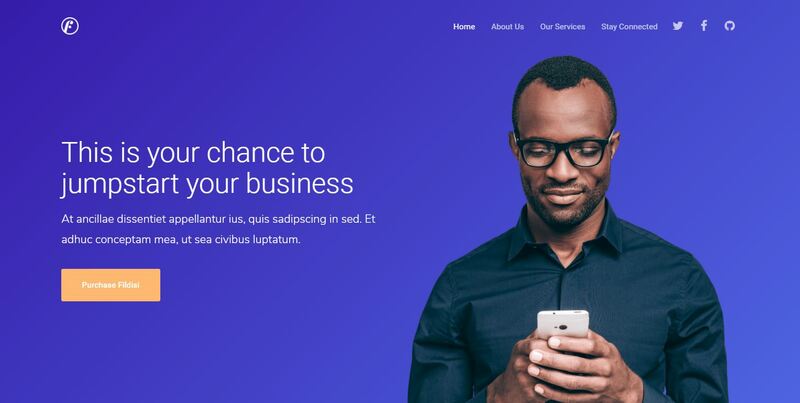 Here is a list of the best 70+ multipurpose WordPress themes for any type of websites. Avada can be used for any type of websites like business, corporate, portfolio, blog, products, etc. 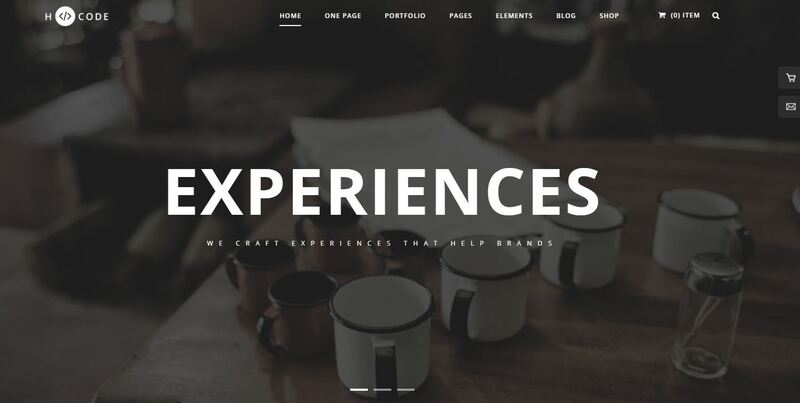 X includes multiple unique designs inside of one powerful WordPress theme. Enfold is a clean, super flexible and fully responsive multipurpose WordPress theme. Creative multipurpose WordPress theme, responsive, lightweight, drag and drop visual page builders. Also no coding required. Included over 100 pre-built elements to suit any application and also has a powerful Live Search feature. Multipurpose WordPress theme for corporations, small business, online stores, lawyers, agencies, wedding planners, hosting companies and more. Uncode is a pixel perfect creative multipurpose WordPress Theme based on WPBakery Page Builder. It’s clean and modern for any need. It has over 40+ pre-made concepts ready to go or combine. Oshine is a popular, creative WordPress theme for Portfolio, Photography, Agency, Blog, Architecture, Business etc. 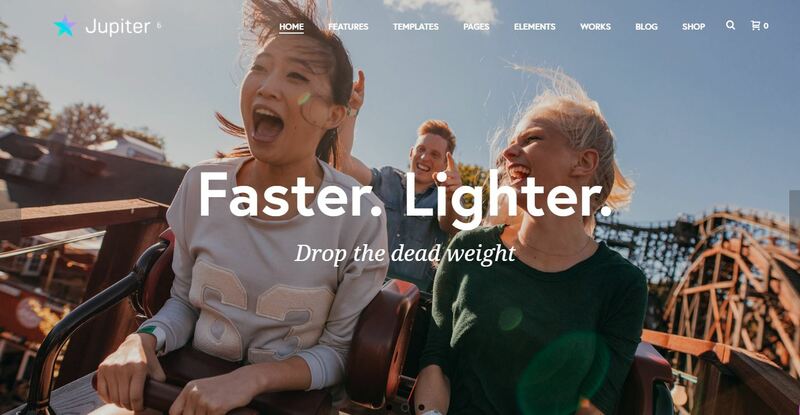 A Powerful and Elegant live front end page builder for WordPress, that comes with 50+ styling modules, a live text editor and pre-built concepts. Jevelin provides with everything required to create a high quality and unique website with WordPress. 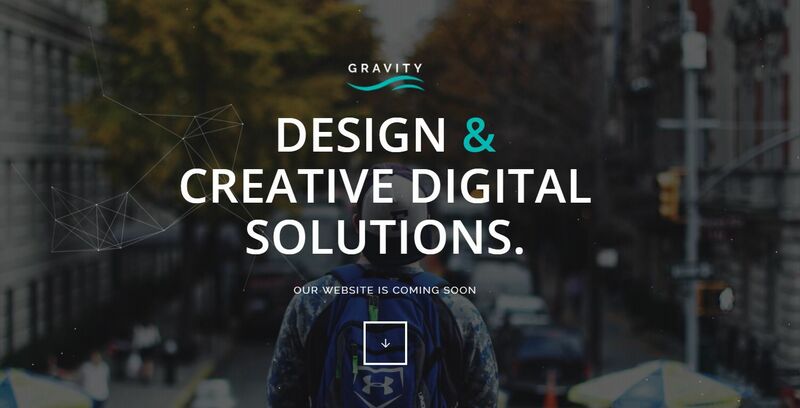 From corporate homepages and agency websites to landing pages, startup landing pages, event websites and many more. Kalium is a creative multipurpose WordPress theme that will showcase your Portfolio, Agency, Photography, Travel Agency, Corporate, etc. It is well organized, visually stunning and constantly evolving through theme updates. 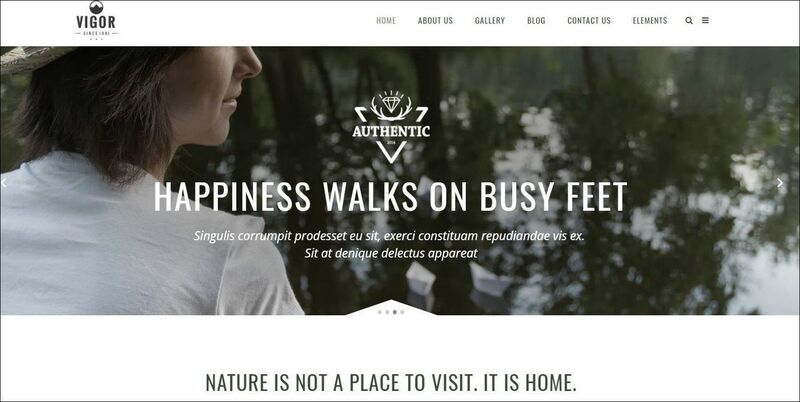 Clean, modern design WordPress theme that can be used for any type of website. Comes with Ultimate Addons for Visual Composer. Also focus on typography, usability and user-experience. TheGem is a versatile, responsive, high performance WordPress theme with a modern creative design to suit a multitude of creative uses for building websites. Designed and developed as an ultimate web building toolbox of design elements, styles and features. Multipurpose Website Building Toolkit for WordPress. Bridge is a retina multipurpose WordPress theme built on the very powerful and flexible framework by QODE. Jupiter suitable for all kinds of businesses from corporations, shop owners and small businesses to startups, artists and bloggers. Azoom is ultimate WordPress theme with stunning features. A daring multipurpose theme. It comes with 12 amazing, unique and completely customizable demos, easy to import. Yaga is a multipurpose WooCommerce ready WordPress theme. Built with care for simplicity, web performance and visual appeal. 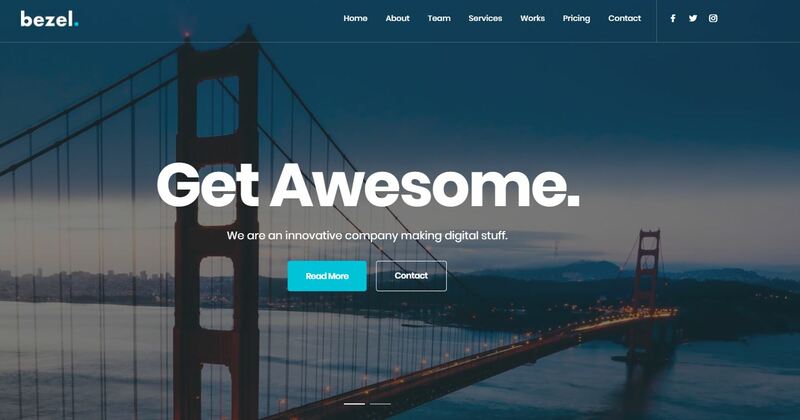 Dalton is a clean multipurpose WordPress them with tons of features to help you easily build a modern corporate site. WordPress minimal multipurpose portfolio with visual composer. It comes with many intro section versions, full screen background, full screen parallax slider, full screen video. Maya Reloaded is a pixel perfect creative multipurpose WordPress theme. It’s professional, smooth and sleek, with a clean modern layout, for almost any need. Create a creative and unique, simple and bright site for any purpose with ease. Its clean, aesthetically tasteful and fresh design makes it suitable for any type of website. H-Code is a powerful, creative, responsive multipurpose WordPress theme perfect for business, creatives, online stores and ecommerce websites. A multipurpose, ultra-flexible, fully responsive WordPress theme. 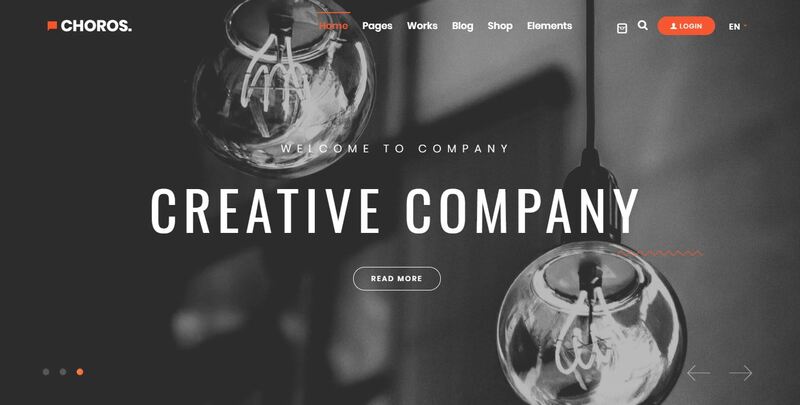 A creative multipurpose WordPress theme. Mint is a multipurpose, clean, creative, fully responsive and powerful WordPress theme. Theme includes multiple header layouts, Revolution Slider plugin, drag and drop visual page builder, powerful theme options panel etc. Intact is a highly functional and resourceful WordPress theme uniquely designed to satisfy critical business needs. Featuring multiple Pricing Plans, Icon Boxes, Team Member sections, Reviews Boxes, High resolution font icon sets etc. Modern and powerful multipurpose portfolio WordPress theme for all sort of projects. Themes comes with beautiful typography, subtle transitions, interesting use of navigation. Theme can be used for any type of website, business, corporate, portfolio, creative, marketing, etc. Also delivered with Visual Composer page builder and Advanced Custom Fields Plugin. Enormous is a pixel perfect creative multi purpose WordPress Theme based on Visual Composer. Build beautiful, intelligent websites with over 45+ Homepage Concepts ready to go. Santos is a multipurpose, clean, creative, fully responsive and powerful WordPress theme. Includes multiple header layouts, drag and drop visual page builder, powerful theme options panel, parallax background, Google font and more great features. Suitable for a corporate website, agency, portfolio, magazine, landing page perfect theme for your needs. Norebro is a carefully crafted flexible and high performance multipurpose WordPress theme for personal and corporate use. 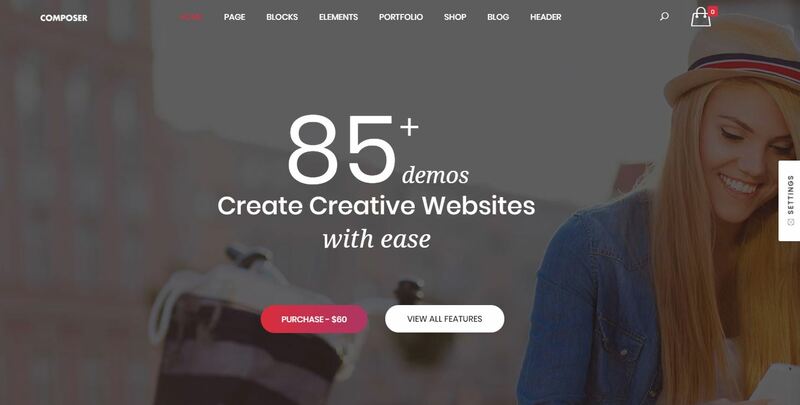 Create gorgeous pages and layouts fast and easy without coding. A premium responsive WordPress theme best suited for business, ecommerce, portfolio, photography, etc. You can create a design from scratch or customize any of the default demos. 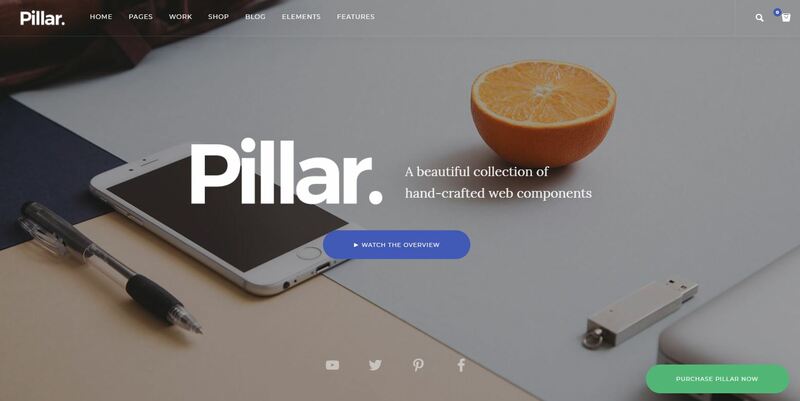 Pillar is a truly multipurpose theme, you can use it for absolutely any business or personal website. Ezio is a magnificent multi-purpose WordPress theme that allows you to build high-quality websites in seconds. 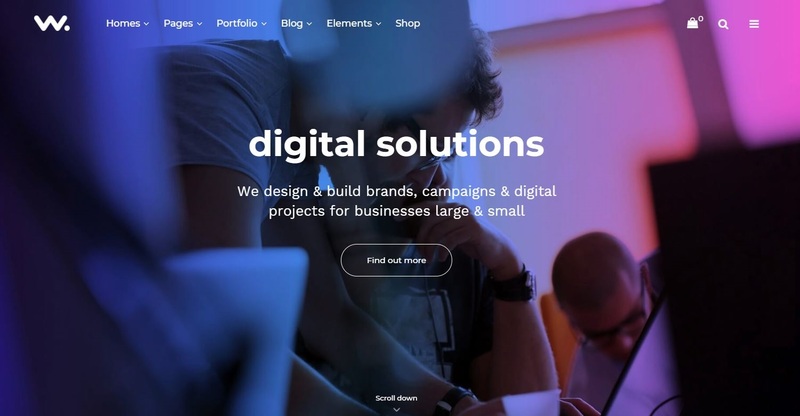 Rigel multipurpose business portfolio theme which helps you to create websites without touching single line of code. Bezel is a creative, fully responsive WordPress theme suitable for almost any kind of website. Barrel is a Premium Corporate, Business multipurpose WordPress theme. Osmosis is an unparalleled and effortless multifunctional WordPress theme. Vinero is a powerful, flexible, and clean multipurpose portfolio theme for WordPress. The theme is packed with lots of pre-designed pages to display main services. Uses HTML5, CSS3, and jQuery frameworks that provide extreme functionality and speed. Also includes 5000+ Icons. Trendy is a multipurpose, clean, creative, fully responsive and powerful WordPress theme. Includes multiple header layouts, powerful theme options panel, parallax, many elements, 600+ Google Font and more. UpScale is a business oriented multipurpose WordPress theme created to suit the needs of a business website. Fusion is a multipurpose WordPress theme for creatives. With AJAX loading and partial injections, create a seamless site with blazingly fast page loading. An innovative and easy to use premium multipurpose coming soon / under construction WordPress theme with integrated theme options, pagebuilder and design tool. Powerful and flexible multipurpose WordPress theme. Premium multipurpose WordPress theme that easily allows you to create any type of websites. Polygon perfectly suite your WordPress site at the best performance, SEO optimized, responsive and retina ready. Provide is a comprehensive Professional Business Consulting, Finance multipurpose WordPress theme. It is liquid and simple to use with bootstrap lattice framework. Multipurpose WordPress theme that can be used for portfolio, blog, shop and any business purposes. Fully responsive and retina ready. Responsive multipurpose business theme to provide all the features that you need in promoting and running your business online. Handel is build with Codeless Builder and Codeless Framework. Milton is a versatile responsive WordPress theme with 13 modern demos and Visual Composer for building any kind of website. Multipurpose WordPress theme built for real life projects. Perfect solution for corporate websites, hotels, restaurants, creative websites, shop owners, bloggers, online media portals and much more. 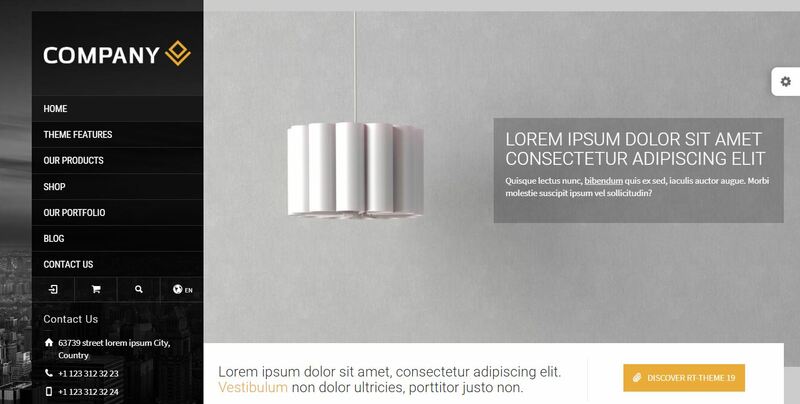 Also comes with Power Builder plugin that helps to create unique and versatile page layouts in visual mode. RT-Theme 19 is a true multipurpose WordPress theme with powerful CMS tools and multiple unique design options. Brando is a completely modern, feature rich, professionally designed multipurpose onepage WordPress theme. Ultimate Business driven multipurpose theme. Can choose the wide layout and the color of the background or the boxed one. 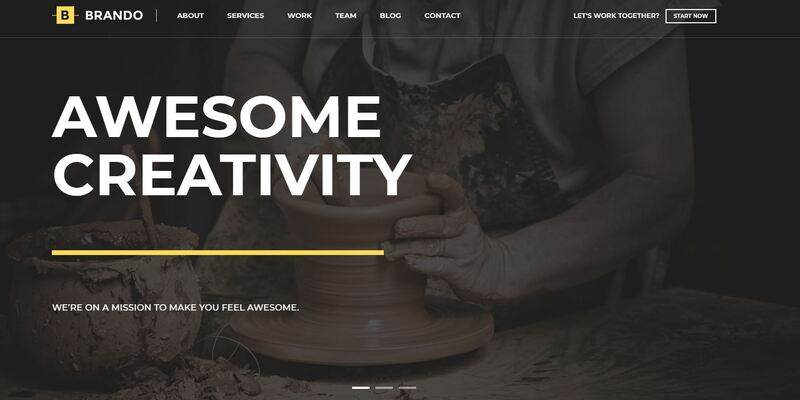 Beoreo is a minimal, creative multipurpose WordPress theme. Comes with 18 stunning pre-defined homepages. Fits for a range of business and corporations like Portfolio, fashion store, one page, photographer etc. Roneous is a Creative multipurpose WordPress theme with great attention to every details and incredible features. Infinite is well designed WordPress theme for multipurpose. Hazel is multipurpose, clean, creative, retina ready, responsive WordPress theme ideal for creative use, photography, portfolio showcase and more. Highly customizable theme with unlimited combinations of header layouts, title area layouts, mega menu, side menu and tons of shortcodes. Composer theme is a Responsive multipurpose high performing WordPress theme created by an elite group of designers and developers. Compatible with popular plugins such as Contact Form 7, WooCommerce, WPML and much more. Stack is a robust, multipurpose WordPress theme built with reuse and modularity at the core. Perfect for your Startup, Landing Pages, Corporate Sites, Agency Sites, Portfolio and so much more. Now that you have gone through the list. Any other top WordPress multipurpose themes? Also Which one is your favourite?